Christmas, like everything comes and goes so very quickly. With the blink of an eye gifts are opened, family has been visited and you've all but moved on to the next stage of the year, the end of it, the celebration and making of resolutions. It all happened to me too. Christmas was great this year, celebrating again with both N's family and mine (at different times) and visiting with family we hadn't seen for a while. 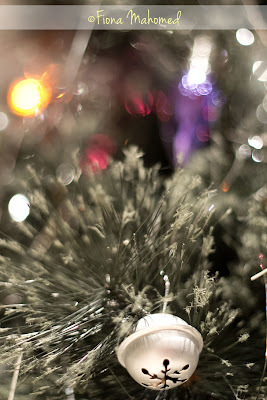 I tried to take some bokeh of our Christmas tree but I just wasn't feeling it...sometimes you just don't do you? 2012 is the year of challenging myself. I'm looking at participating in some book group or reading challenge, you can check out how I go on my new blog Catch the Reading Bug and I'll also be participating in a photographic challenge or two. At this stage I'll be doing a 52 week challenge. Will of course post links once thats sorted! Happy New Year and hope if you're making resolutions (this is my first time) they work out well for you and you don't over extend yourself. I've never thought they were about that, more about resolving to be a little better or do a little more or grow a little. Not about damaging who you are or how you feel about yourself. Images processed etc with Paint the Moon's whimsy set and watermarking action.